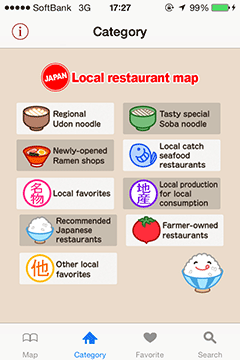 The approximately 10,000 shops in Japan ” your local gourmet “, ” B-grade gourmet ” and ” local food ” ! ! 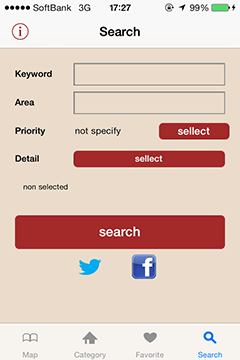 By switching the genre of nine , find the shop of your choice . 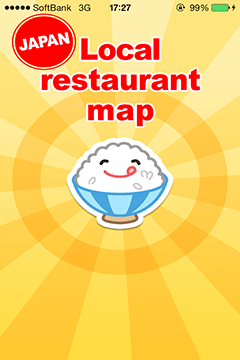 Because it has map data, you can find your local gourmet of your choice from the current position . 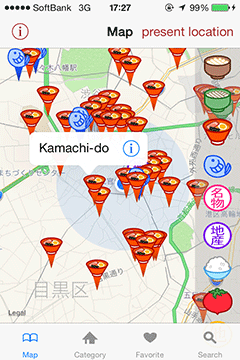 Because there is the function of search and bookmarks , I can make a favorite gourmet map of your own easily . Copyright © 2019 株式会社タビマップ All rights Reserved.